Oh you guys are going to love these creme polishes! 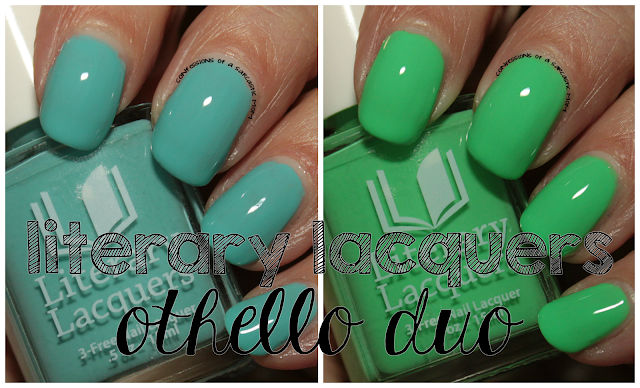 I know I keep mentioning it, but the Literary Lacquers Facebook Group is super fun - and here's just one example! Amy created these gorgeous cremes and there was a contest in the group to name them - so they have become the Othello Duo, named by Trish Cowart Krulin. The blue is Desdemona's Handkerchief, and the minty shade is If Thou Hast Eyes To See. 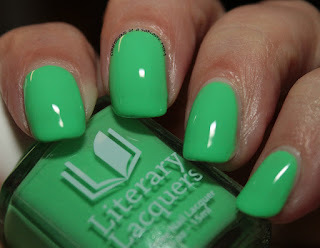 If Thou Hast Eyes To See is labeled as a sea-green creme, but to me, it's a little electric and neon! I needed 3 coats for what's pictured, but it leveled well, and it looks great. It's such a pretty shade, but I did have some difficulty at first. Confession: My nails aren't always perfect. I do still have troubles sometimes with application, especially with pastel cremes. I tend to glob the first coat on, and then it all runs around my cuticles and just makes a mess. I wanted to throw this bottle out of the window. But I took a deep breath and tried again, and this is what I got! So what do you guys think? 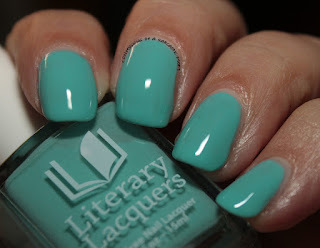 These cremes are gorgeous! 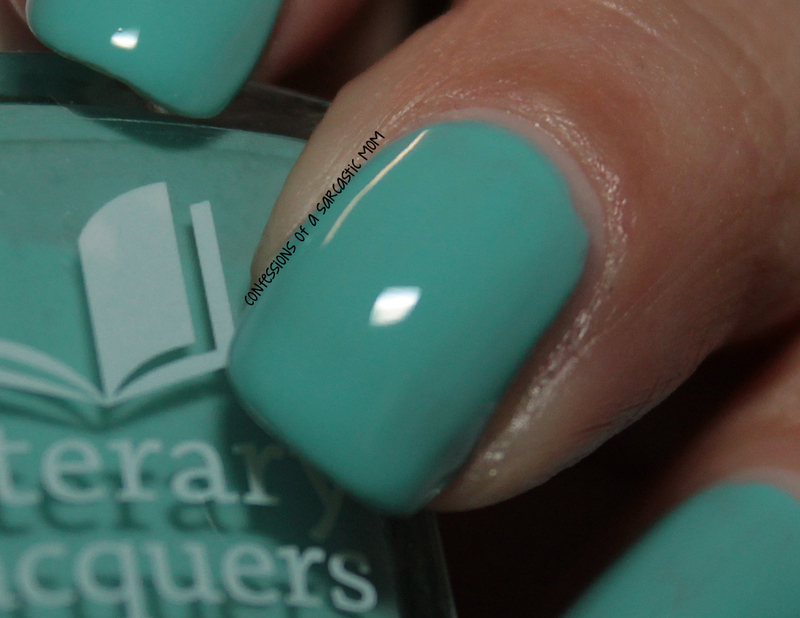 This will be available in a big launch on July 25 - You can get these from Literary Lacquer's shop! Several other polishes will be released the same day! 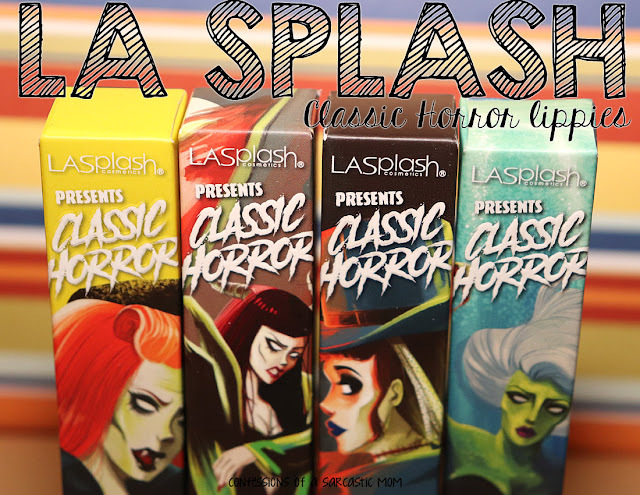 Everything I've shared this week will be available - Lestat and Louis, Long May She Reign and Sugar, Curiosity, and Rain and Oh Calamity!